“And how much do you think I could get for this place?”, that is The Question that you will need to respond to if you’re going to get the listing. The IBBA has just introduced a new benefit to our members. ValuSource Market Comps will be available to all members by the end of 2018. This database previously known as the IBA database is the largest of the small business transaction databases existing today. It has been used by brokers and appraisers for over 40 years and grown to over 39,000+ transactions in 750 SIC Codes. In your training as a CBI, you learned the methods necessary in course 220 to apply the information in this database correctly to develop a Most Probable Selling Price, MPSP, for a small business. This new benefit should make your ease of use of this valuable tool much easier. The single user price for this benefit is listed as $575 per year, a fee that is more than 25% greater than the IBBA’s annual fee. Without quick access to comprehensive market transaction data, it is simply not possible to provide your listing prospects with sound advice on the MPSP of their business opportunity. This is not the only source of market transaction data; there are at least six competitors in market transaction data currently being used by brokers and appraisers. Each of these has unique characteristics that make them more or less relevant to The Question. With 30 + years of personal experience as both a broker and appraiser, I find the ValuSource Market Comps to be very useful on a regular basis and have been a regular subscriber for the last 30 years. If you have not become a CBI, then I would like to take this opportunity to promote this accreditation to you. 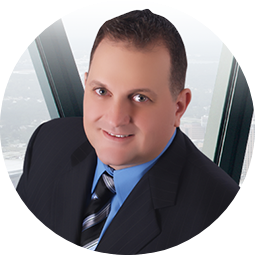 The CBI has certainly been the first initials after my name for the last 17 years and been the foundation on which I was able to build a sustainable and successful business as a broker and appraiser. Even if you currently don’t feel the CBI is for you, I strongly encourage you to consider taking the 210 and 220 courses to learn the details of the methodologies used in recasting and pricing small businesses. Among other things, you will become familiar with the terms and methods that many other brokers have learned, adopted, and use successfully. The International Business Brokers Association exists so that business brokers, advisors and intermediaries within the Main Street business brokerage profession have access to like-minded members and groups, whereby they receive professional support, services and benefits and where the value the Members receive far exceeds the cost to them. As we wrap up 2018, I hope you have taken advantage of everything the IBBA has to offer. If you haven’t yet, what are you waiting for? With the addition of ValuSource Market Comps, and the rest of your IBBA Member Benefits, you will be able to provide an answer to The Question. It has been an honor serving our members as the 2018 Chairman of the IBBA and I hope you’ll join me as we look forward to 2019! It is my privilege to welcome Jeffrey Snell as the incoming 2019 Chair. It has been my pleasure to serve you and I want to wish you all a wonderful holiday season and a very Happy New Year! Business owners spend considerable time and energy trying to enhance company value by developing growth plans with well-defined goals. These plans are designed to maximize value over time, but it’s hard to achieve those goals without knowing where to begin. Not only do owners need to understand what their business is worth today, they also need to know what supports and drives that value. Far too often, owner overconfidence or apathy causes this step to either be neglected or downplayed, or at a minimum, based on incomplete data or conjecture. In this case, a valuation usually serves as a reality check for owners with a biased or uninformed viewpoint on what their business is worth. Why would a business owner want a valuation? The traditional answer is that valuations are needed to resolve tax or legal issues. However, valuations are actually performed for a myriad of reasons, including but certainly not limited to selling or acquiring a business. In the cases of death, disability, disaster or divorce, valuations are needed to equitably determine the business assets according to terms spelled out in legal filings. Valuations are often needed when gifting or donating company stock as part of a charitable contribution, in resolving IRS or shareholder disputes, or when converting a C-corporation to an S-corporation. There could be requirements in a buy/sell, partnership or shareholder agreement that necessitates a business valuation. In addition, owners would generally perform a valuation when attempting to raise strategic capital or obtaining a Small Business Association (SBA) loan. Implementing an Employee Stock Ownership Plan (ESOP) would certainly necessitate an initial and annual valuation. Moreover, a formal business valuation can help to reconcile perceived opinions on value, and coupled with a marketability analysis, it can help a business owner determine relative value in the marketplace. How does the business valuation process work? The assessment of value is indeed an art form as much as it is a science. Business valuation is a process and a set of procedures used to estimate the economic value of an owner’s interest in a business. An accurate valuation of a closely held business is an essential tool for a business owner to assess both opportunities and opportunity costs as they plan for future growth and eventual transition. It provides either a point-in-time assessment of relative value for an owner or perhaps the price a buyer would be willing to acquire the business. On its face, business valuation is actually a relatively simple and straightforward concept. A qualified professional first analyzes the subject company’s financial statements and considers comparable transactions, industry ratios, and other quantitative and qualitative information. Then, applicable adjustments are made to align the subject company to an industry standard or benchmark. The result is a reasonable assessment of fair value, usually performed under the Uniform Standards of Professional Appraisal Practice (USPAP). Despite the benefits, however, many business owners are apprehensive about what to expect when going through the valuation process. In some cases, valuations can expose areas of the business which actually take away from value, such as weak financial and accounting controls, under-performing assets and weaker operating ratios relative to its peer group. The entire valuation process can provide an overview of strengths and weaknesses of the reviewed company. What are the key considerations for the business valuation? The business valuation professional will first consider the purpose and objective of the valuation. They will then look at the nature and background of the business, its products and services, as well as the industry life cycle, economic and political environment. Unique factors are then considered, including customer relationships, executive compensation, as well as excess assets, working capital, and liabilities. Considerations which could have a profound influence on value include goodwill or other intangible assets, the dependency on an owner or key employee(s), diversity of the customer base, market position and the competitive landscape of the industry. There are three widely accepted fundamental methods used in valuing closely held business interests; the asset, income, and market approach. The methods most useful in determining final value will depend on several factors, including the purpose of the valuation and the type of company being valued. What are the Exit & Estate planning considerations for retirement? A business valuation is an essential component of the estate and tax planning process for owners and their families. Since the value of the business often accounts for the bulk of the owner’s net worth, determining a reasonable value is not only critical to retirement planning following the exit from the business, but also the groundwork required to both protect and transfer that wealth to the next generation. 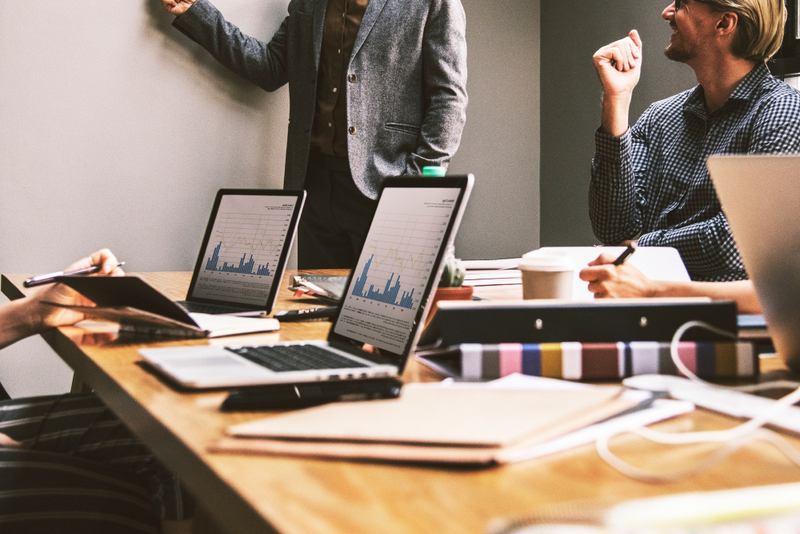 Statistics suggest that most owners don’t do business planning or even plan for their own exit, and as a result, many transactions leave sellers feeling somewhat unfulfilled. If used correctly, however, a thorough valuation can provide that very important starting point in strategic growth planning, as well as some important visibility for an owner contemplating the long term. It can also serve as a meaningful tool as part of a business “gap analysis” to help identify and eliminate the various anchors to value growth during the exit planning process. A valuation incorporated into a comprehensive business assessment should yield higher business growth over time, as well as higher terminal values and selling prices. Join us to learn how re-organizational strategies centered around a controlled short sale can remove debt from the underlying value of any business. Strategies once reserved for Fortune 100 companies have been perfected for businesses of all sizes: A broker can effortlessly access these tools to divorce business value from the debt in order to greatly scale their portfolio and deal flow. A broker’s ability to remove debt from an otherwise viable and valuable business operation opens vast new opportunities for deal flow, branding and goodwill. One of our 10 Commandments of Selling A Business is ‘thou shall prepare the landlord for the sale of the business’. Landlords can be real deal killers. Advise your client that it is better to know if there are any potential fish hooks in the sale of their business. Recently, we have had a spate of issues around lease extensions required, rent increases and the obtaining of landlord agreement to lease assignments. With tougher times out there and a rise in some empty retail spaces, we are hopeful landlords may become more realistic with rent they are asking for, and also with lease terms, in order to attract good hard working tenants. Secure Lease On Offer – Their business has much more value with a secure lease on offer. For retail hospitality businesses, we would expect a minimum of 6 years security of tenure to be available. Buyers are asking for longer than this quite often. Lease length expectation will also relate somewhat to the size of the business, as a small business may not require quite a substantial lease term availability as say, a $1 million plus business. The buyer of the larger business will no doubt be seeking a longer tenure than 6 years. No Fish Hooks – If the lease has a renovation or demolition clause in the lease, you have a problem. This will devalue the business enormously. Some landlords are seeking to add demolition clauses to leases with them coming into effect at a later date, but this definitely scares buyers off. Buyers for the business, whilst the lease might offer say 8 years of secure tenue and then include a Demo clause coming into play, will be apprehensive about buying this business. Why? Because after they trade the business for 4 years and then decide they may like to sell, may only have around 4 years left on the lease; hence it will be hard for them to sell, unless the landlord is agreeable to removing or extending the time frame around the Demo clause. Deal with this yourself before taking this business to the market. Rent Increase – Do disclose any possible rent increase you may be aware of. It is better to prepare any interested buyer to the business that rent will be rising upfront then it is not an unpleasant surprise. If the increase is going to be substantial, be prepared to accept this may de-value the business based on reduced profitability. Rent is a key factor used to establish the sustainable profitability of a business. Generally, with a retail food business, we prefer to see rent in the 6-8% range of turnover and preferably not over 10% of turnover. Lease Assignments – In New Zealand, many business owners are not aware that, for a period of time, they may still have liability as guarantors on the lease after they sell their business. Make sure the business owner’s solicitor has explained this to them. It is wise for you to be able to communicate to the business owner whether the person buying their business has sufficient experience and financial means to run the business. Prospective buyers of businesses need to understand the process of gaining landlord consent to a lease assignment and should be willing to provide information about themselves. This includes their experience, financial means and also what their plans for the business are. The buyer should not feel a landlord is unreasonable in wishing to understand their ability to run the business and to service their financial commitments. It is not a given that the landlord will agree to a lease assignment, so as a business broker sets the scene. The buyer must be willing to do their homework and provide more on themselves to please the landlord, then realize their accomplishment when they are granted a lease assignment, and encourage celebration of the success on reaching this milestone. Glorianne Campbell has served on the Auckland District REINZ committee as a Committee Member and as a President, and also currently serves on the Business Broker Sector Group for REINZ. She has also served on the Industry Advisor Group for the REA (Real Estate Authority) for business sales. Glorianne attends conferences on a regular basis in the USA and Australia and is a Certified Business Intermediary (CBI) of the International Business Brokers Association (IBBA). She has also held a position in 2015, 2016 and 2017 as a Director on the Board for the IBBA based in the USA. In 2018, Glorianne was awarded a Fellowship of the IBBA. Glorianne has also completed the academic and experience requirements to become an Associate of the Real Estate Institute of New Zealand (AREINZ). She later went on to being awarded a Fellowship of the Real Estate Institute of New Zealand (FREINZ). 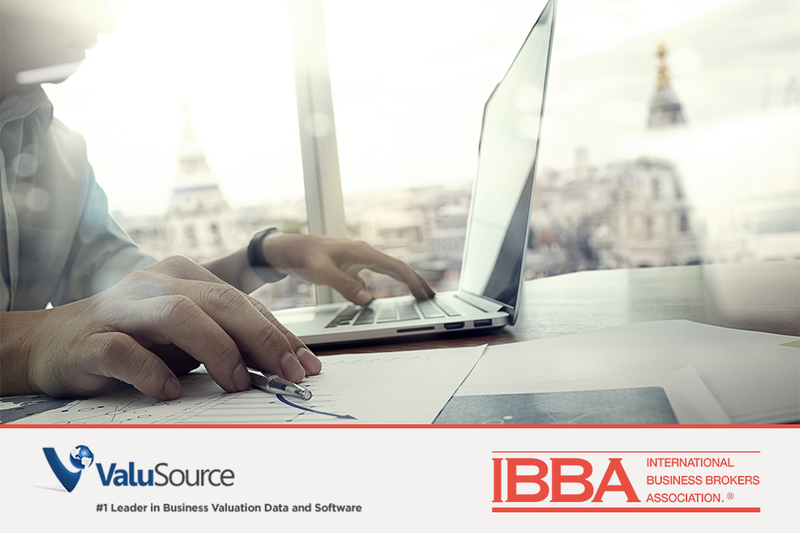 The International Business Brokers Association (IBBA) has partnered with ValuSource to provide IBBA members with free access to the ValuSource Market Comps database (formerly known as the IBA Market Data), a $575 annual value. This database contains more than 37,000 comparables for small to medium sized private businesses and is an invaluable tool for helping Business Brokers properly price businesses for sale. 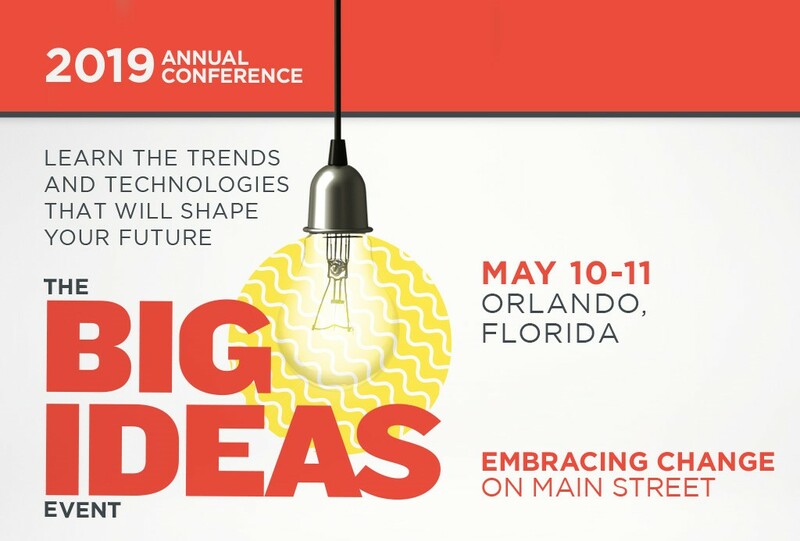 With business sales reaching record numbers, and today’s political world having a greater impact than ever on businesses, Business Brokers – the professionals who aid in the buying and selling of businesses – will gather in Orlando, Florida, May 10-11, 2019, to discuss market trends and technologies that will shape their future. 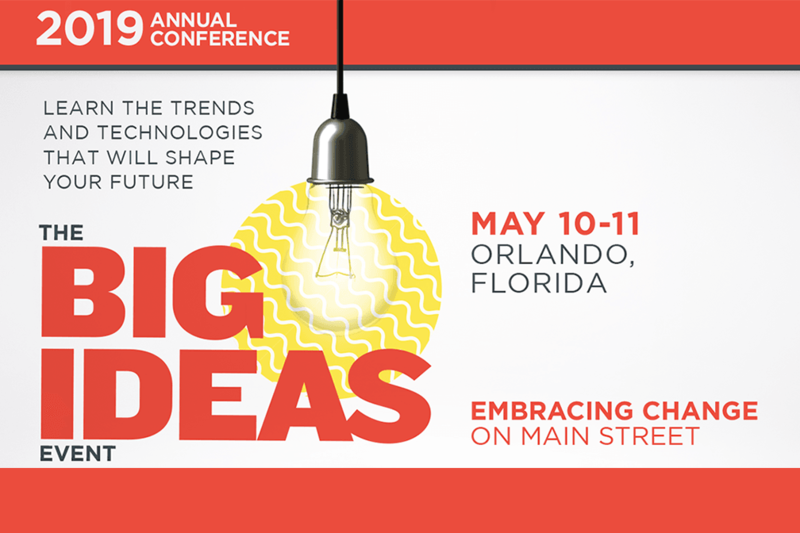 The Big Ideas Event: Embracing Change on Main Street, is the theme of this year’s International Business Brokers Association (IBBA) annual conference and will feature a wide variety of presentations from some of the top speakers in the business brokerage industry. The International Business Brokers Association (IBBA) is pleased to welcome new Board member, Kyle Griffith (NY), and second term member, Lisa Riley (AZ), to its 2019 Board of Governors. The Board also unanimously approved current Education Chair, Barry Berkowitz, as the 2020 Chair of the Board. Geared to business brokers, business buyers and business sellers, “The Real Deal” offers fascinating stories, helpful tips and insightful tales from experts in the business buying and selling industry. “Whether you’re a business broker, own your own business, or are looking to buy a business, this podcast will help you learn about the buying and selling process, financing strategies, business valuations and more,” explained Kylene Golubski, Executive Director of the IBBA. The Real Deal Season 1 is almost completely launched! Be sure to subscribe and listen to episodes on The Economy and the State of the U.S. Small Businesses, Myths and Misconceptions about Buying or Selling a Business, When to Walk Away, and more! Check out The Real Deal Podcast on our website! Thank you to Cress V. Diglio for being Podcast Host with the Most, his REAL approach with guests is something you don’t want to miss. Stay tuned for the last episode to launch on December 17th! Are You a Prepared Seller? What Difference Does It Make? Usually owners become motivated when they are just plain burned out or have had a life event – a health scare or the death of a close friend or spouse. Something is prompting them to make a change as soon as possible. Is life passing one by? What do you want to do while still healthy, have the desire and ability to do? Frequently, a sense of urgency is created by one or more of these events. However, is this motivation or merely a reaction? The best motivation is when owners have planned and prepared their business to sell prior to burn out, disease, death, dispute, etc. Educated sellers are the best sellers. By learning and understanding the elements of a successful transition plan, seller’s fear and hesitation are removed when an offer arrives from a good buyer. Here are just a few of the issues that should be discussed and understood prior to the first offer arriving! How much money will you walk away with after all taxes and fees are paid? Will the sale net enough money to fund the rest of your life in the current or a better lifestyle? What if the net doesn’t fund your lifestyle? How will you be able to replace all the perks (eg., family cell phone plan or yearly vacation) your business has been paying for? How will you spend all that free time once the business is sold? How will the sale affect your social life, community standing, and how others perceive you? Will you still feel fulfilled and challenged? What will happen to your employees and customers? A Business Broker is a true advocate for sellers. We will help you achieve your goals and maximum value when transitioning out of your business and into the next stage of your life. Lisa Riley is the Owner and Designated Broker at LINK Business-Phoenix in AZ. Lisa is a Certified Business Intermediary [CBI], a Certified Business Broker [CBB], PhD, Chair of Market Pulse Committee and Board Member of the International Business Brokers Association [IBBA] and the Arizona Business Brokers Association [AZBBA], as well as a former business owner and university professor. She can be reached at 480-686-8062 or [email protected] LINK Business-Phoenix provides services for business transitions from valuation throughout the sales and transition process to final sale/exit or acquisition. LINK Business is an International Business Brokerage Franchise providing business intermediary services with locations throughout the United States, Australia, New Zealand, South Africa and the Philippines. 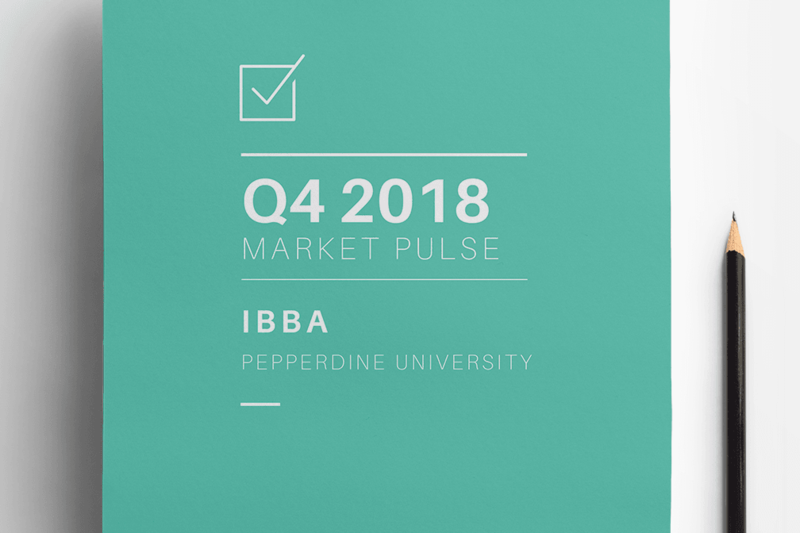 The International Business Brokers Association and M&A Source, in partnership with Pepperdine Private Capital Markets Project, have set a goal to provide quality information on a quarterly basis in order to become the go-to source for Main Street and Lower Middle Market transactions. I am frequently reminded of how the IBBA has positively influenced my business since becoming a member in 2002. I remember being excited about joining the IBBA and looked forward to attending a conference to see what the group was all about. It became apparent at my first conference that I needed to acquire the CBI designation if I were to be taken seriously in this industry. It seemed EVERYONE had their CBI, or was working toward it, so I knew it was ultimately necessary. At that time, education was only available during the conferences, so it took me 2 years to finish the required courses and other criteria. I took the exam in 2004 at our IBBA conference in Las Vegas, after being out most all night with colleagues that were on the same education journey (which made “re-casting” even more difficult during the exam). 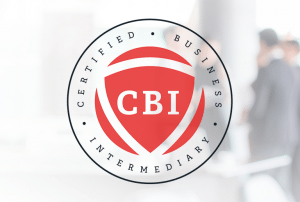 Achieving the CBI designation really was a game-changer for me. In reflecting back on the past 16 years of membership in the IBBA, I realize that joining the IBBA has been the best investment in my business I could have made. Opportunities for quality education and access to experienced colleagues from all over the US willing to offer advice, share expertise, business documents, or help problem-solve have been incredibly valuable. I have received referrals from some of the industry’s top brokers, as well as have had many opportunities to reciprocate business to various IBBA members. Over the past 6 years, I have been involved with planning our conferences and have been privileged to become acquainted and work with some very talented people, all working to achieve an excellent conference experience for everyone. Retrospectively, I think joining a committee and becoming actively engaged has made me even more appreciative of all that IBBA has to offer. The IBBA today makes membership more rewarding than ever! Just take a look at our website, enroll in an online class, join a webinar, utilize our partnerships & resources, check out new education, get your CBI designation quicker, explore the social media side, and now even podcasts. Oh yes…and attend an awesome conference! Our conference and education committees are working hard to deliver the best of the best this next May in Orlando at “The BIG IDEAS Event”. I hope you can plan to attend, participate in the workshops, visit with our Exhibitors and enjoy the networking. During this season of giving, appreciation and friendship, support the IBBA by getting involved…both you and your business will greatly benefit. Denise Yardy is the Owner and Designated Broker of Long Realty Business Brokerage in Tucson, Arizona. Her expertise is in the main street and lower middle market industry and she has facilitated business sales and acquisitions throughout southern Arizona since 1999. She has been an IBBA member since 2002, became of Fellow of the IBBA in 2015, and currently serves as a Director for the IBBA Board of Governors, as well as Conference Committee Chairperson for 2019. Welcome to 75+ New Members that joined the IBBA since September 1, 2018! Calling all IBBA members! 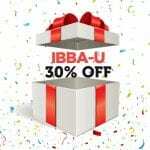 For the entire month of December, enjoy 30% off all IBBA University online courses!